Hello, CEO Olivia here. Perhaps you’ve noticed that we good dogs yawn a lot. You humans do it usually because you’re tired. 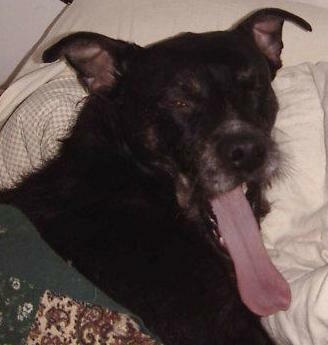 But we dogs will yawn for any number of reasons but I can some up by saying it’s a way of releasing stress or tension. For example a good dog might yawn when presented with new situations or when unclear as to what is expected of him or her. 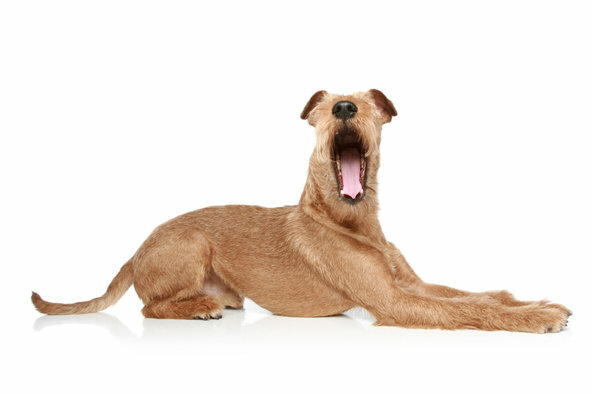 Another example is when a dog is waiting for something such as a walk or a meal it may yawn as way to burn off the energy from the anticipation. In both situations, it’s a way of calming down. At the dog park or in obedience classes you’ll see dogs do a lot of yawning . They know something should & could be expected from them but maybe unsure as to what exactly. But it’s not always about stress or pent up energy. I myself will yawn as a way of saying, “I’m feeling good or content”. I do a special whistle yawn when huMom wakes up in the morning. It’s my way of saying good morning & I love you. HuMom will yawn too & I see that as her saying, I’m happy & okay. My fur sister Suzie Q does a morning whistle yawn too. We even yawn at each other. That means we are both feeling good. 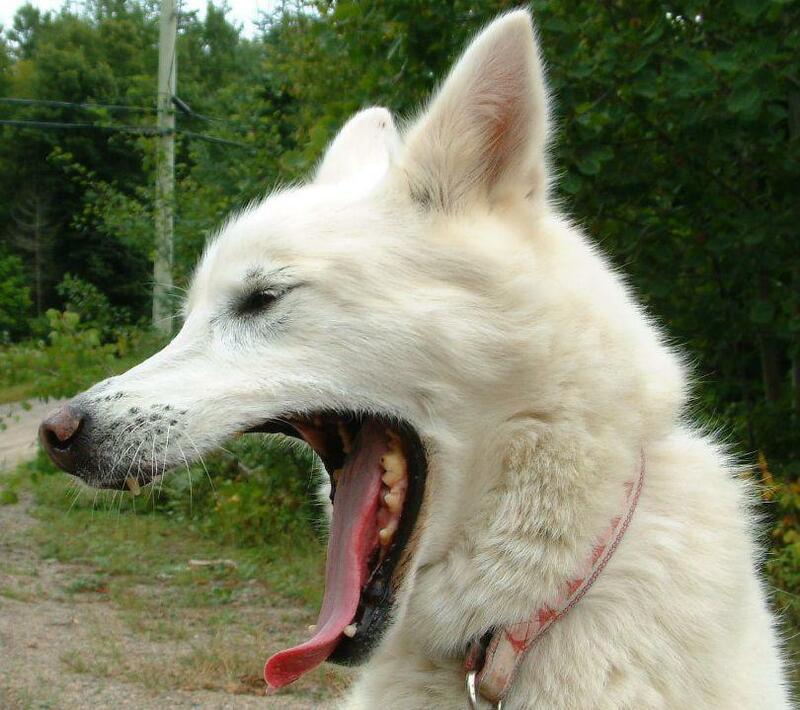 So yawning in dogs is a bit more complex than a human’s. But the truth is, sometimes, like you, it just means I’m ready to nap. As for cat’s, they pretty much yawn for the same reasons but it is also theorized that it is a part of their cat-yoga routine. A wide mouth yawn works a lot of muscles & cats sure love to stretch. How about you’re good dog? Does he or she yawn for another reason? If so I’d love to here about it. 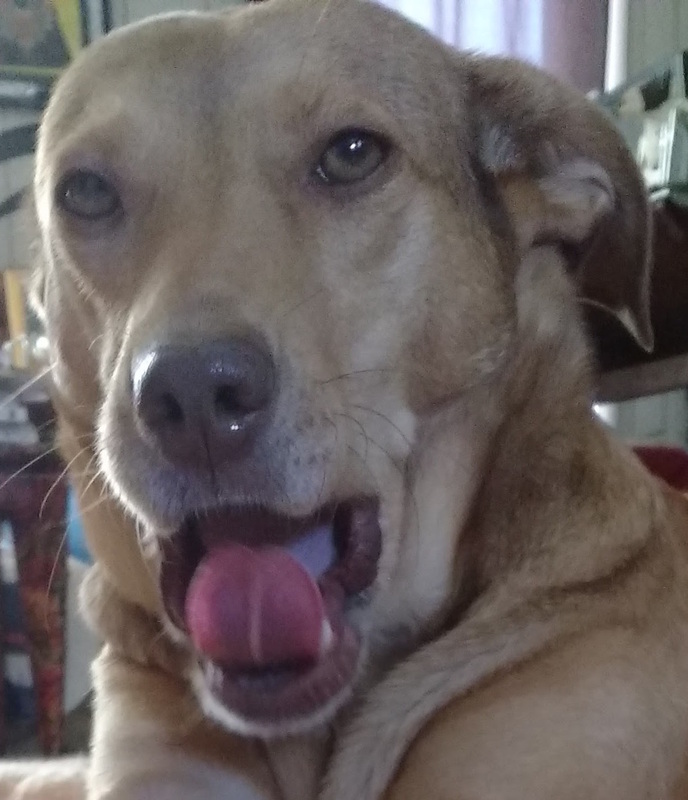 I would also love to see pics of you’re good dog yawning. *YAWN* Boy, after reading that I had a big yawn! BOL!! I always yawn when my humom is getting ready to take me and my furbrother out for a walk! Interestmg info! Thanks for shedding some light on those yawns.